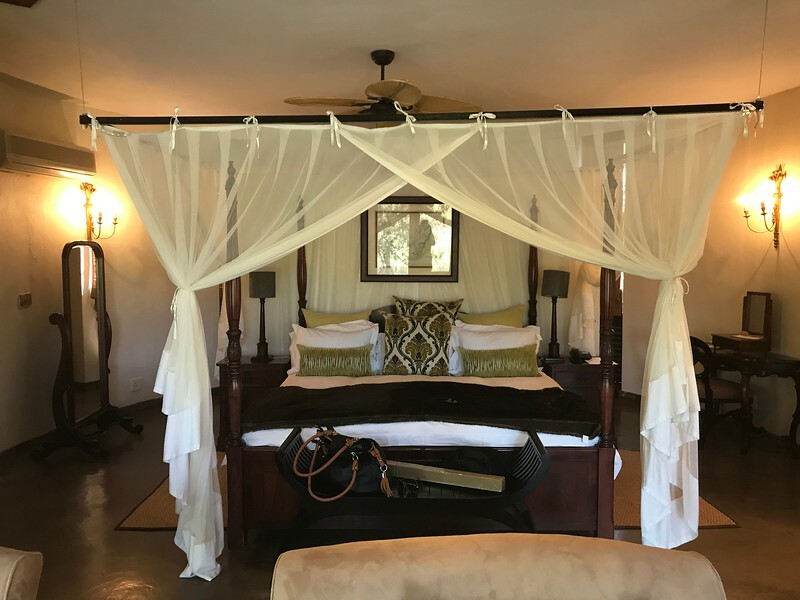 After our time in Johannesburg, one of our trip's biggest highlights awaited us as we headed to the "Tintswalo" Lodge at Krueger National Park to enjoy 6 "Game Drives". As you'll see from above & the next couple of pictures the rooms at the Lodge are absolutely stunning! FYI, of our group of 27 people, 10 flew home after Johannesburg and didn't do a Safari extension like this and from the sounds of it 10 out of 10 of them regretted it! So, don't make this mistake and think you're going to see everything you want to on the Chobe River, the animals in this region are unique and it was a totally different experience from the Safaris up at Chobe.